The intelligent SCHUNK battery cell gripper offers an efficiency advantage for the production of lithium-ion batteries. The smart gripper combines flexible handling, identification, and the 100% quality inspection of li-ion cells in one compact module. All recorded process data and characteristic curves on geometry, temperature, and charge levels are processed via an integrated PC system on the level of the gripping module and transferred as purified information via Ethernet TCP/IP both to the plant controller, and the superordinate database systems. 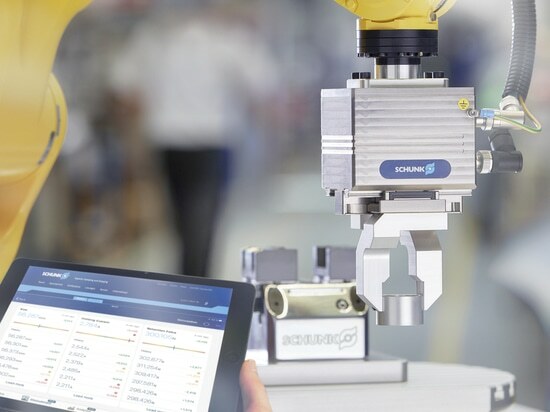 In so doing, the battery cell gripper is making an important contribution towards shaping autonomous processes within the intelligent production environments of Industry 4.0. Lithium-ion batteries are considered as technologically essential components of electromobility and stationary storage systems due to their high level of efficiency and storage capacity. Intensive R&D activities have recently resulted in their performance rapidly increasing, and charging times being significantly reduced. At the same time however, the revenue per unit has also been declining by as much as 20% per year. The portion of manual workstations in the production of battery packs has until now made cost-attractive production in large quantities more difficult. Today for instance, the condition of the individual li-ion cells both when being sent from cell production and when being received in battery pack assembly was largely monitored manually with the aid of measurement equipment. This is very time intensive and often associated with erroneous measurement results due to operating errors. In order to overcome the rapidly growing demand predicted for the years to come, this process can now be completely automated. 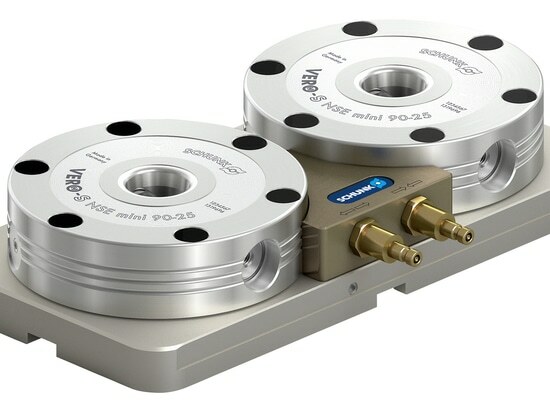 For this purpose, SCHUNK, the competence leader for gripping systems and clamping technology has developed a highly integrated gripping system that actively uses its strategically exposed position "closest to the part" in order to autonomously complete all procedural steps required for handling and quality inspection: The gripper gently picks up the prismatic li-ion cell and moves it into a defined test position within the gripper during the handling process. 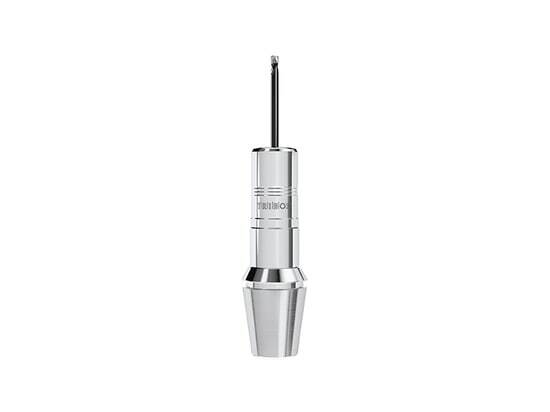 Here, the cell is automatically identified and geometrically measured using a bar code or data-matrix code. At the same time, the temperature and curvature of the cell surface and important electrical parameters are determined: Open-circuit voltage for determining the charge level (SOC), isolation resistance, impedance at two frequencies to determine the capacity. By means of an integrated PC system at the same level of the gripping module, the prepared information can be provided in real time via Ethernet TCP/IP both to the plant controller as well as to ERP systems and the superordinate database systems. Here, the evaluations on erroneous or deviating modules can be automatically documented, and if necessary, are sent directly to the supplier. The data curves can be displayed separately from one another in the visualization. From the analysis of the measurement data, information on the product and its improvement can be gained. After completion of the integrated quality inspection, the gripper inserts the cell in the module production into the right line or inserts the cell in the dispatch tray of the cell manufacturer. NOK parts are automatically discharged. 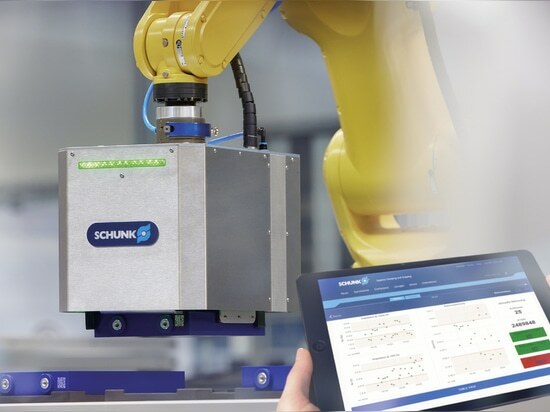 By means of standardized interfaces, the SCHUNK battery cell gripper can be connected with a wide range of robot or gantry systems. The actuation takes place via digital I/O. Due to the modular concept and freely configurable control loops, both the type and scope of the individual test procedures can be individually defined. Furthermore, additional measurements and evaluations can also be integrated upon request. The modular sensoric concept and configurable control loops ensure highly flexible implementation possibilities. At the peak, cycle times of less than 2 seconds are possible. 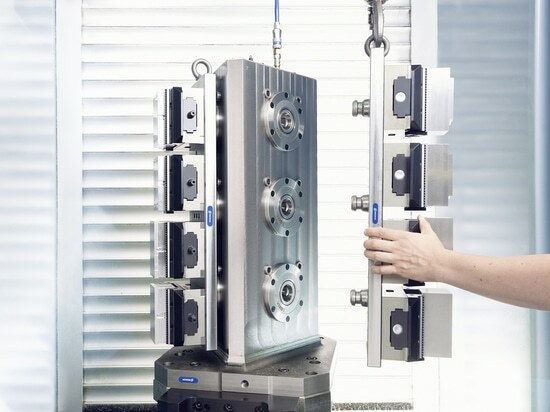 Intelligent gripping systems like the SCHUNK battery cell gripper provide the opportunity for autonomous processes and make an important contribution to the production of tomorrow in many regards: Fully integrated solutions reduce the cost of the entire system, as no additional measurement technology is required, and both the space requirements, and commissioning outlay are reduced. Moreover, with considerably reduced personnel outlay, the process speed can be noticeably increased. 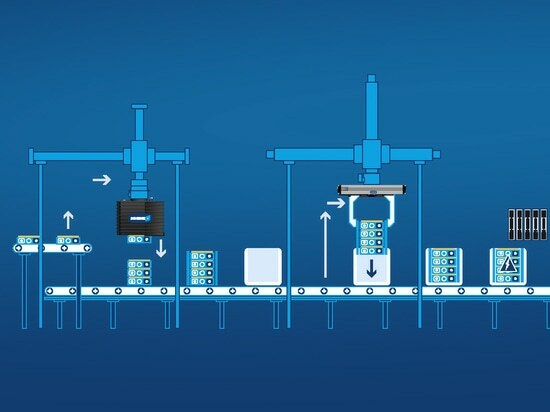 For mechanical engineering, system integrators and automators, such an autonomous handling and measurement concept opens up new possibilities for the implementation of systems with integrated monitoring functions. The results gained from the measurement reports on every manufactured cell provide valuable information in order to design even more efficient systems, and to intervene at an early stage in case of any deviations in the manufacturing process, and thereby reducing costs. 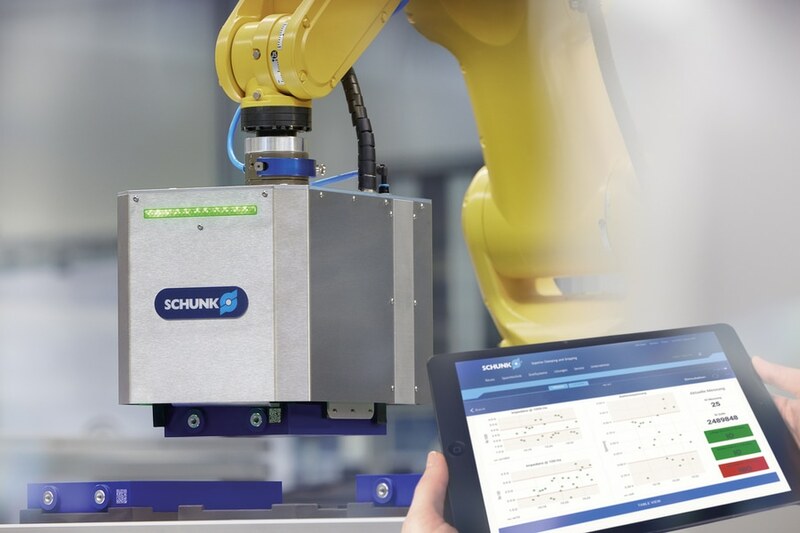 Particularly in battery production, intelligent all-in-one solutions such as the SCHUNK battery cell gripper are the key to facilitating efficient production of large quantities with maximized process quality.